Your lipstick has lead in it! You have most assuredly heard this old rumor—maybe that’s how you started getting into using all-natural products like ours to begin with. For this month’s FDA cosmetics question spotlight, we’re going to unpack the rumor. What is the likelihood that your lipstick actually has lead in it, how much is safe, if any? On number nine of their cosmetics quiz, the FDA asks: True or False: Lots of lipsticks on the market contain dangerous amounts of lead. We've seen this urban legend pop up on the Internet, and it's turned up in scary email warnings, too. But it's just not true. FDA has tested hundreds of lipstick samples, and we've found only very tiny traces of lead. We don't have any reason to think that these tiny amounts are hurting people. If we find a health problem, we'll say so and take action to get the problem product off the market. Lead is a neurotoxin linked with some pretty serious side effects in adults and children. Headaches, stomach issues, difficulty concentrating, mood disorders, and miscarriages can result from lead poisoning in adults and in children, it can cause learning and developmental problems, fatigue, vomiting, hearing loss, and whole host of other issues. Expecting mothers and their children are particularly susceptible because the neurotoxin can pass through the placental blood barrier and cause lasting damage to the developing fetus. What’s more concerning is that our bodies don’t naturally remove lead very well so it can build up overtime. That means that even if you do have minimal exposure it can make you sick over an extended period of time. This is why finding lead in lipstick and other cosmetics is such a hot topic. If It’s False, Where Does the Rumor Come From? The rumor, simply put, came from testing. The Campaign for Safe Cosmetics (CSC) tested a small amount of lipsticks in 2007 and found lead. The FDA decided that they would do their own testing and then came out saying that they found lead in more than 400 lipstick shades so there is no question that the heavy metal is in makeup products. Since the question is whether or not the lipsticks on the market contain dangerous amounts of lead, this makes us wonder what amount of lead is considered dangerous. Is the Lead in Your Lipstick Harmful? The FDA’s limit for lead in cosmetics is set at 10 ppm (parts per million), which is pretty low, but compare that with their limit in candy which is 100 ppb (parts per billion) or water, which is 5 ppb. Obviously, candy and water are consumed so the accepted amount in foods should absolutely be set this low but it seems like a product that is made for mouths and is inadvertently swallowed on a regular basis should be on par, no? Apparently not. According to their tests, the 10 ppm of lead in lipsticks don’t make a noticeable difference in routine blood tests. Unfortunately, this wasn’t a longitudinal study so we don’t really know how long it takes for lead in lipstick to increase lead levels in the blood. Additionally, there are a lot of different ways to be exposed to lead (pollution, old paint, plants grown in lead contaminated soil, etc) so it would be hard to quantify how lead in a cosmetic product would increase blood levels in a long-term human study. What About People That Reapply All Day? This is an important question to ask. You probably know someone that’s never without their favorite shade of lipstick (or maybe it’s you). How often do they reapply a fresh coat? When they notice the smudge on their water glass? Halfway through lunch? What about those people that reapply over a flawless cover out of boredom? For a lot of people their lipstick isn’t occasional and it isn’t a phase. Their lips are colored day in and day out for years. We’re not sure if the FDA tests covered this sort of usage and even if the test is inconclusive of elevated lead levels in the body, we don’t feel comfortable taking the risk. Well, we don’t have a lip product (yet) so for now, this means doing some serious research on our personal products or making our own. One thing to point out is that lead isn’t something that companies add to their lip products, the heavy metal is typically naturally found in the ingredients that make lipsticks colorful so it won’t be listed on the ingredient label. 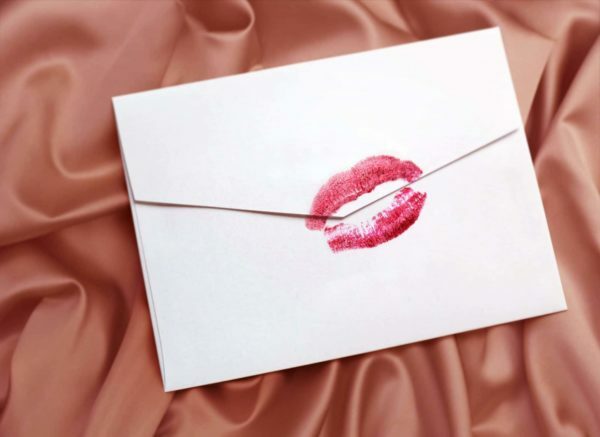 If you’re a regular lipstick wearer, do the extra research and reach out to the company you love and ask them if they do their own lead testing. Luckily, since this research (I’m not sure we can call it a rumor anymore) has been around for over 10 years, it isn’t too hard to find an awesome shade from a brand that has gone the extra mile to make sure they don’t have lead in their products. Do you have a lead-free lipstick that you love? Let us know in the comments below! Center for Food Safety and Applied Nutrition. “Metals – Questions and Answers on Lead in Foods.” U S Food and Drug Administration Home Page. Center for Food Safety and Applied Nutrition, n.d. Web. 22 May 2017. Center for Food Safety and Applied Nutrition. “Products – Limiting Lead in Lipstick and Other Cosmetics.” U S Food and Drug Administration Home Page. Center for Food Safety and Applied Nutrition, n.d. Web. 22 May 2017. Ewg. “Pucker Up for a Dose of Lead.” EWG. N.p., n.d. Web. 22 May 2017. “Lead In Lipstick.” Safe Cosmetics. N.p., n.d. Web. 22 May 2017. “Lead poisoning.” Mayo Clinic. Mayo Foundation for Medical Education and Research, 06 Dec. 2016. Web. 22 May 2017.